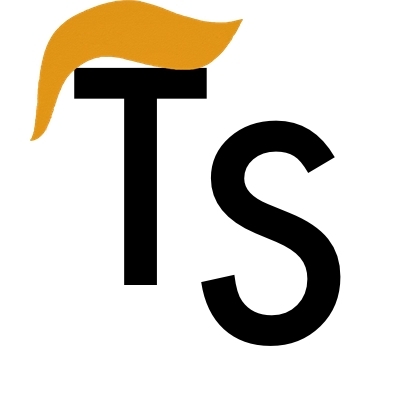 It’s been a while since we made any updates to TrumpScript, and we just wanted to make it official that our development on this project has stopped and that we will no longer be accepting issues or pull requests on this repo. TrumpScript is a language based upon the illustrious Donald Trump. As the undeniably best US President, we found that the current field of programming languages does not include any that Trump’s glorious golden combover would approve of. TrumpScript is our solution to this. It’s the programming language Trump would approve of. Just like he is going to make America great again, we hope our efforts will make programming great again. Temporary: Write export PATH=$PATH:/path/to/TrumpScript/bin to terminal. Permanent: Append export PATH=$PATH:/path/to/TrumpScript/bin to the end of your ~/.bashrc file. Write a TrumpScript file following the syntax we’ve specified (good luck). Enjoy the wonderful world of TrumpScript! All programs must end with America is great. Our language will automatically correct Forbes’ $4.5B to $10B. In its raw form, TrumpScript is not compatible with Windows, because Trump isn’t the type of guy to believe in PC. TrumpScript boycotts OS X and all Apple products until such time as Apple gives cellphone info to authorities regarding radical Islamic terrorist couple from Cal. The language is completely case insensitive. If the running computer is from China, TrumpScript will not compile. We don’t want them stealing our American technological secrets. Warns you if you have any Communists masquerading as legitimate “SSL Certificates” from China on your system. Won’t run in root mode because America doesn’t need your help being great. Trump is all we need. If you find you can’t get any TrumpScript to run on your computer (probably because we disallow the two most popular operating systems), you can specify the --shut_up flag to let the interpreter know you just want your code to run, damn it. The grammar of the language is fairly convoluted, but here’s a taste of the enlightened decisions we’ve made. But most importantly, Trump doesn’t like to talk about his failures. So a lot of the time your code will fail, and it will do so silently. Just think of debugging as a fun little game. If this page entertained you, consider making a donation to your favorite charity or political campaign. There’s also Hillary Clinton, and of course Donald Trump himself. This project is (probably) not totally dead, and we’ll get back to it eventually, but hold tight for now, since we’re all busy students full-time. Hey, cool, we got an article on Inverse written about us!